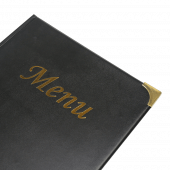 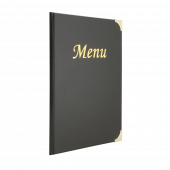 What is special about these PVC menu covers? 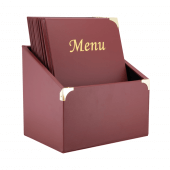 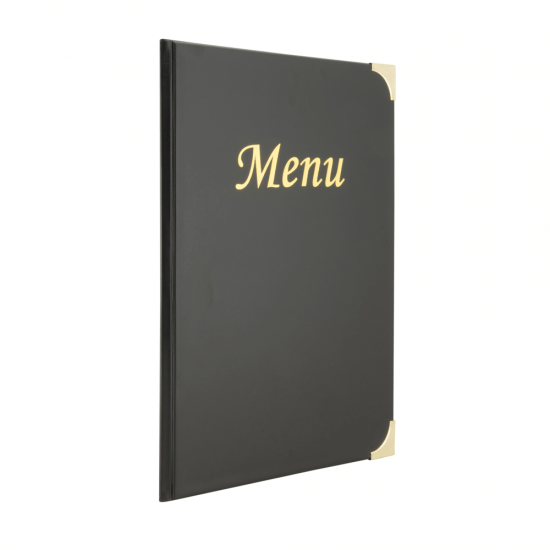 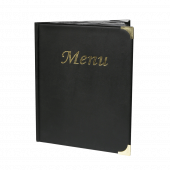 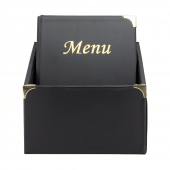 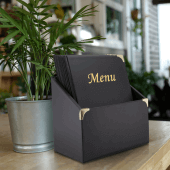 These Traditional PVC Menu Covers are based on a classic design and feature a textured leather-look plastic cover which protects your menu from spills and can be cleaned easily. 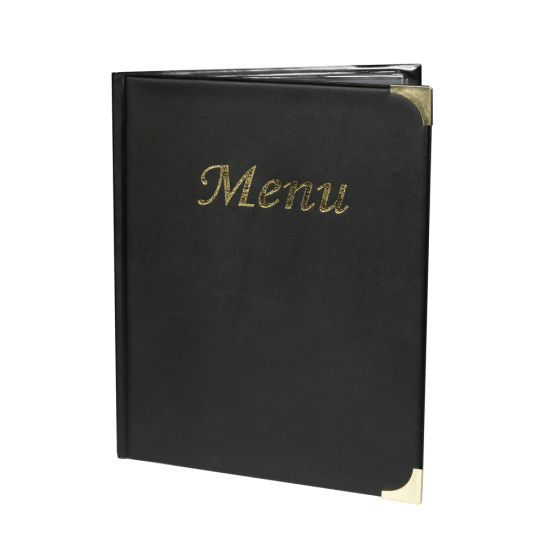 Gold lettering on the front and gold metallic corner protectors make it a good fit for traditional pubs, bars and restaurants. 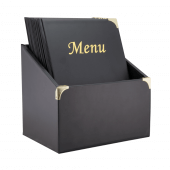 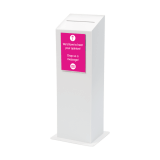 They're supplied as a set of 10 menu covers in a display box. 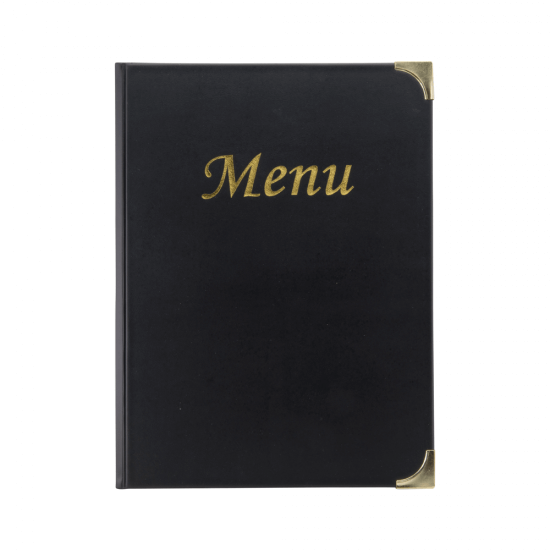 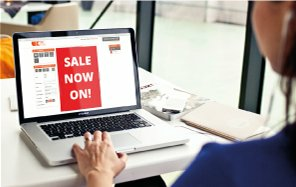 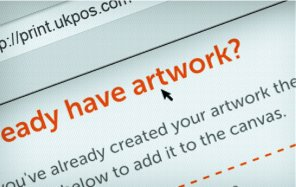 How many pages does each menu cover hold? 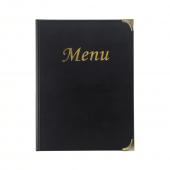 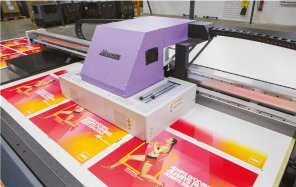 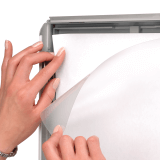 Each menu cover is pre-fitted with four clear plastic menu sleeves which can hold up to eight sheets of paper. 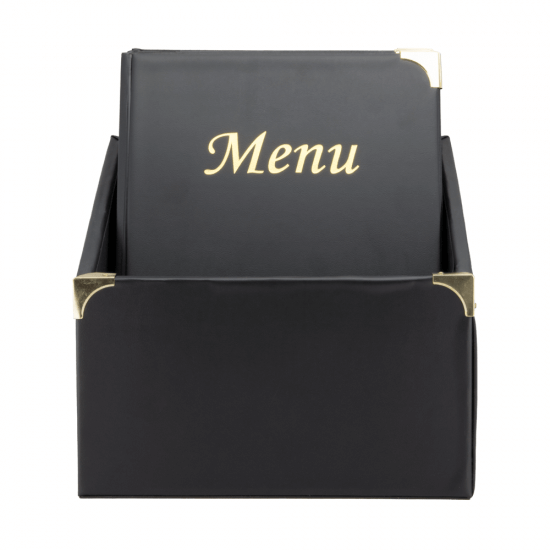 In addition to the main menu pockets, the front and back inside covers also have an extra pocket to give you even more room.